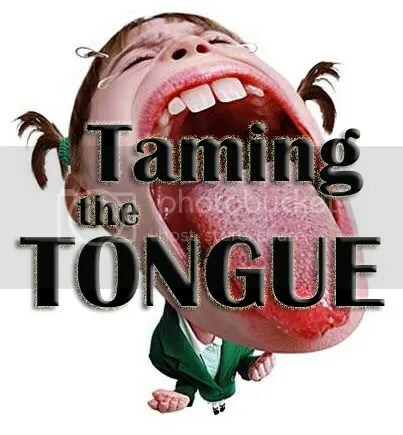 Taming the Tongue … Me? Really? It was folded in half. Anyway, this envelope was from the American Legion National Headquarters Benefit Department. Curious, I opened it to see what they were selling. This certificate had the seal of the American Legion on it, and was signed by Billy R. Johnson – the A.L. membership director. … there’s just one problem – I’ve never even been in the military, much less performed any type of war-time service (besides praying for friends and family in Iraq). I did enlist in the Marine Corps in my early twenties shortly after the Iraq War began (I was tired of my parents and everyone else telling me what to do, so I joined the Marines), but didn’t make it past the physical because of high blood pressure. There must have been a mix-up somewhere that led to my getting this certificate. I kidded with Airiel that I was going to frame it and hang it on my wall. “Who knows, maybe I’ll run for public office someday and this will help,” I joked. What would hanging that certificate on my office wall make me … you know, if I were really trying to get people to believe I was an old war hero (and don’t say John Kerry)? It would make me a first-rate _____________? You got it – a first-rate hypocrite. I’m preaching next Sunday in San Francisco from James 3:1-12. That means I’ll be getting up in front of a group of people in San Francisco to teach them about taming the tongue. I sort of feel like a hypocrite speaking about this, because my speech is something that I struggle with. No, I don’t mean I cuss or use profanity or anything like that. I certainly used to, but don’t anymore. I don’t mean that I tell crude jokes either – I really don’t. But here’s what I do struggle with: 1) Sometimes I say too much, and 2) sometimes I don’t say enough. I find my tongue to be like that horse at summer camp that the counselors would always put the mean kids on that they secretly wanted to kill. You know, the horse that would randomly take off running through the woods scaring the little kid riding it half to death, or that other horse. You remember, the one that, no matter how much you tried, you couldn’t get it to get it to move. It’d sit there with this bored look on it’s face like it was just waiting to die and you were somehow hindering the process. Let me explain: there have been times when I’ve really let people have it verbally when I shouldn’t have. I’m a passionate guy (no excuse), my tongue gets away from me sometimes, and folks have been left hurt and scarred by my sin. But there have also been times when something really should have been said to someone in order to help them (like when they were involved in something that was killing them spiritually or hurting others), but instead I ignored the problem hoping it would simply go away and it ended badly for that person or others. 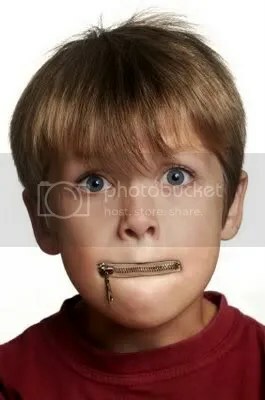 As these images communicate, when a lot of people think about taming the tongue, they think about shutting up and that’s it. But learning to “shut up” when you need to is only part of taming the tongue … you’re really dealing with two extremes. An untamed tongue doesn’t just say too much – it also says too little. The trick to taming the tongue is to find balance between the two extremes like Jesus did. Jesus held His tongue when He needed to, but Jesus also let people have it when He needed to as well. He didn’t verbally lash others for His own selfish pleasure or to be mean, malicious, or hateful, but because He loved them and wanted to see them change. Their own actions (or inaction) were destroying them and leading others to destruction as well. He didn’t cuss them out, but He did use some fairly biting adjectives to describe them (brood of vipers, whitewashed tombs, etc. ), spoke frankly about their sin, what the result would be unless they repented (their destruction), and warned others not to be like them in their unrepentant state. Ultimately, Jesus desired relationships with those He spoke with like this, but knew that in order for true fellowship to exist between them and Himself, they had to repent of their sins. I can give you plenty of examples of situations I’ve been in where my untamed tongue has been revealed, but don’t want this post to become too long, and would really rather here from you instead. Do you struggle with taming your tongue? Care to share any specific examples or stories with me? Any tips for someone struggling with taming their tongue? Thanks for your help – if you give me some good stories or illustrations I may use them in my sermon. I’ll be meditating on this issue for the next few days.